Entrance is by donation to the food bank, free parking and refreshments served. Please share these posters by email and on social media. 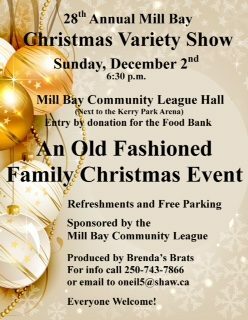 Come and see some great local talent and support the food bank during the holiday season.